Adam Scott Weintraub is a partner at Savage O'Donnell Affeldt Weintraub & Johnson, which has recently celebrated its 50th year of service. Adam joined the firm in 2006. Adam has tried cases all across Oklahoma, in State and Federal Courts. Adam also serves as general counsel for a number of local businesses. Adam has also successfully mediated hundreds of cases, is an Adjunct Settlement Judge for the Northern District of Oklahoma, and has been trained in mediation at the Straus Institute of Dispute Resolution at Pepperdine University. Personal Injury cases are generally taken on a contingency. We don't get paid unless you get paid. Have you been the victim or had an injury caused by someone else's blatant disregard for others such as a careless car crash or dog bite? Has your injury caused you personal or financial harm? Savage O'Donnell has the expertise and experience to help your receive compensation for injuries like a severe burn, broken bones or neck strains. We've helped countless clients withslip and fall accidents, product liability, premise liability, auto accidents, and truck accidents. We know no amount of money can take back what has happened, but it can help you cope with the difficulties your injury has caused. Each of the partners at Savage O'Donnell has different areas of focus. Adam Weintraub chose to represent injured people after decades of defending insurance companies and seeing how claims were handled. Adam Weintraub is licensed in all State and Federal Courts in Oklahoma, as well as the 10th Circuit Court of Appeals and the United States Supreme Court. Adam also serves as an Adjunct Settlement Judge in the Northern District of Oklahoma (the Federal Court located in Tulsa). Adam has been trained in mediation at Pepperdine University's Straus Institute of Dispute Resolution. All of the lawyers at Savage O'Donnell, including Adam Weintraub, hold an AV rating from Martindale-Hubbell's peer review evaluation service. In other words, attorneys in Oklahoma, both colleagues and opponents across the bar, find Adam and all the lawyers at Savage O'Donnell to have preeminent skills while holding to the highest standards of legal ethics. Adam Weintraub also goes out of his way to serve the community, and has held positions on the Board of Directors for Temple Israel, Heritage Academy, the Schusterman Jewish Community Center, and the Brooktowne Homeowners Association. Adam also appears on Talk Radio 1170 every Sunday from 4-6 pm for "What's Your Problem," providing free legal advice. For over 50 years, Savage O'Donnell has distinguished itself by standing tall for its clients in their time of need. Adam Weintraub is proud to continue in the firm's tradition of service, down to the nuts and bolts of your case. Your emails and phone calls get answered. Your questions are addressed. Adam works with you as your teammate and partner to evaluate your case and obtain the best result possible, whether through verdict and appeal, or by settlement. We are here for you. We never forget that it is our duty and privilege to serve our clients to the best of our ability. We are here to help you not only to successfully resolve your claim, whether by trial or by settlement, but also to help you every step of the way. Adam Scott Weintraub is a Phi Beta Kappa graduate of the University of Oklahoma and was president of the Legal Honors Fraternity at the University of Oklahoma College of Law. Adam began his career as an Assistant District Attorney in Tulsa County in 1989. After establishing himself as a bright, energetic and zealous prosecutor, Adam was recruited into civil practice, mostly defending insurance companies. Adam joined Savage O'Donnell as a partner in 2006. Adam has tried cases all across Oklahoma, in State and Federal Courts. Adam also serves as general counsel for a number of local businesses. 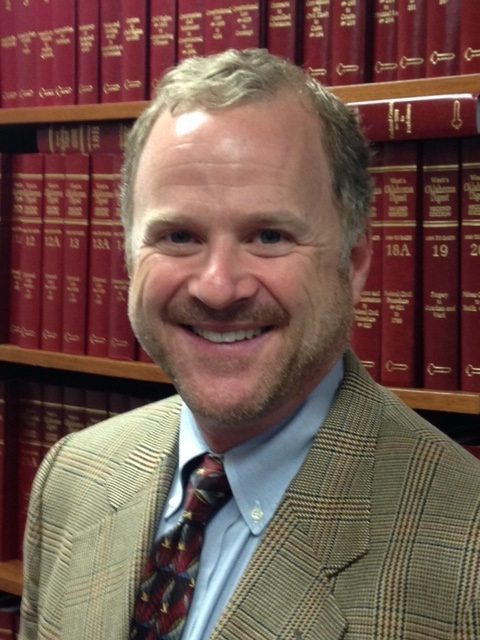 Adam has also successfully mediated hundreds of cases, is an Adjunct Settlement Judge for the Northern District of Oklahoma, and has been trained in mediation at the Straus Institute of Dispute Resolution at Pepperdine University. Adam and Leisa Weintraub have been married for 27 years; their children both attend the University of Oklahoma.